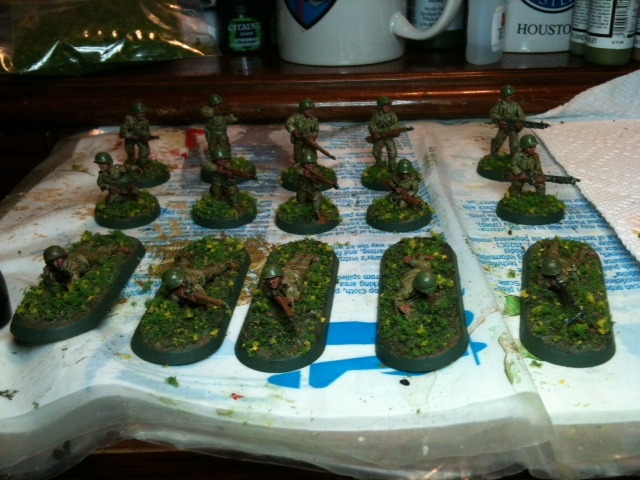 Andy Bouffard sent some photos of his VFM figures painted and based. 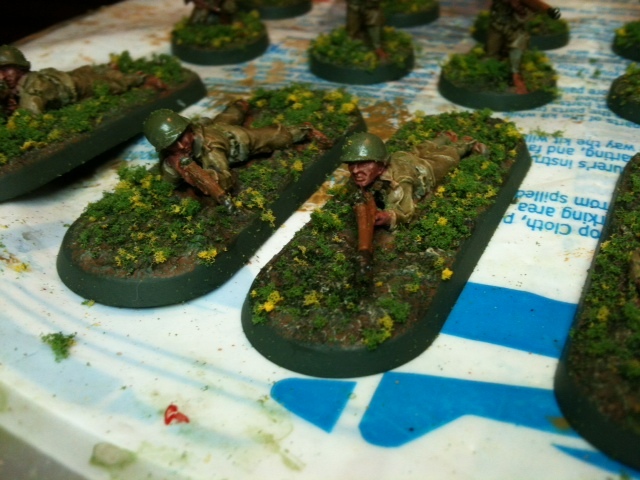 Interesting base and flocking style for the prone figures. The prone figures look like they are really trying to get as deep into the landscape as possible. I like that you have the half squad ready to be used in a game standing, kneeling, and prone. Looks good Andy, Thanks for sending the photos. You can see more of Andy’s stuff at his group site. Check out his annual Wargaming Event Texas Broadside. This entry was posted in General News and tagged photos. Bookmark the permalink.